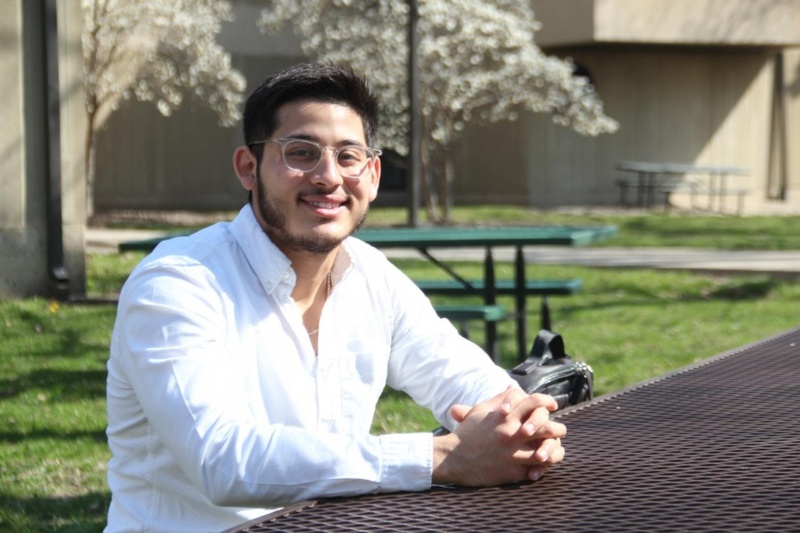 IVCC student and Mendota resident Jesus Quintana, 19, studied abroad all around the world this past year with Up With People (UWP) which is an organization that inspires young people to make a difference in the world. He studied in more than 25 places in the United States, Mexico, and Europe in fall 2017. While abroad, Jesus Quintana experienced new environments and cultures. “Since I traveled with about 100 people from 15 different countries, I was instantly faced with cultural differences,” Quintana said. “I learned a lot about them and the countries that I visited. Not only did he experience new cultures, but studying abroad also changed Quintana as a person. His trip impacted his life greatly. “I became a new person honestly,” he said. “It humbled me so much. It made me appreciate everything so much more and be widely more accepting to anything and everything. Even though studying abroad means students are be away from their families for a long period of time, it does lead to new adventures and new opportunities. Quintana missed his family, but he wanted to experience new things and travel. Some people might think studying abroad might slow down the process to graduation, but Quintana says it does not. “In my instance, it has definitely sped the process and made me work harder to finish quicker with the best grades possible,” he said. Another reason students might not consider studying abroad is cost. Even though it can be expensive, there are options and opportunities to help fund the trip. Quintana mentioned that scholarships are available to students who wish to study abroad as well as organizations willing to help. Studying abroad can have its difficulties but Quintana found in the end the experience and what he learned from it was worth it. “I 1000 percent recommend studying abroad,” he said. “If anyone ever has the slightest chance and opportunity to do it, I suggest strongly to do it. It changed my life incredibly for the better. For more information on studying abroad through IVCC, contact Steve Alvin at steve_alvin@ivcc.edu.